The PRO 1 SFI 3-2A/5 Nomex jacket gives you that distinctive winning look without breaking the bank. 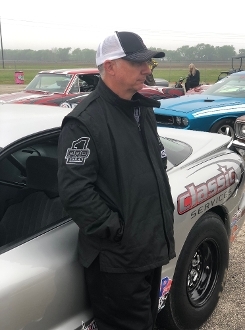 A comfortable lightweight jacket that is constructed of Nomex that meets or exceeds SFI 3-2A/5 specs.The jacket features 360 arm gussets for free range of motion with nomex cuffs, soft neck, pro flow seams, high end zipper,built in arm restraints and pockets! The jacket is available only in our Murdered Out Black. Please see sizing below. Measurements done around torso. Thee BEST rule of thumb is if you wear XL T-shirt loose you will wear a large jacket. Remember these measurements are to give you some moving room while wearing your jacket. pro1safety@gmail.com (855) 438-7761 Copyright © 2016-2019 Pro 1 Racing & Safety Products. All rights reserved.